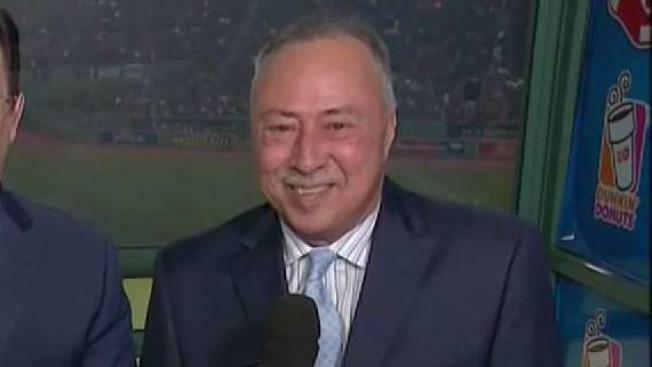 Red Sox color commentator Jerry Remy is again battling cancer. Boston Red Sox television commentator Jerry Remy shared an inspirational message on Twitter on Wednesday morning following his recent cancer diagnosis. "Thank you all for all of your support," he said. "This has hit me hard but I have never quit and will not now. I have complete trust in my team at Mass General. Bring it home Sox !!!" Thank you for all of your support. This has hit me hard but I have never quit and will not now. I have complete trust in my team at Mass General. Bring it home Sox !!! NESN announced Tuesday that the long-time color commentator has been diagnosed with cancer again. "The thoughts and prayers of all of us at NESN and the Red Sox are with Jerry and his family during this difficult time," the television network said in a statement. Remy was not part of NESN's broadcast team for Tuesday night's game against the Blue Jays. The network did not disclose details of Remy's diagnosis or provide a timeline for how long he might be away, but said Steve Lyons will fill in for him while he's out.